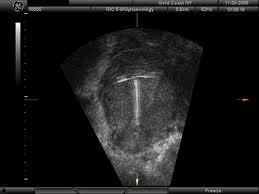 Scans performed for missing IUCD threads confirm normal location of the IUCD in the uterus. If IUCD is not seen, further investigations such as pelvic x-ray may be needed. Scan can be performed with a full bladder and will take about 20 minutes.